MSI CR430 multimedia laptop with AMD E-450 processor available in the market !!! MSI has showed off their newest multimedia laptop ‘CR430? that comes equipped with an AMD E-450 APU processor. Specs-wise, the system sports a 14-inch 1366 x 768 LED-backlight display, a 1.65GHz AMD E-450 APU dual-core processor, an AMD Radeon HD 6320 Discrete Class graphics, DDR3 memory, a 320GB/500GB/640GB hard drive, a 720p HD webcam, a DVD writer, an SD/MMC/MS card reader, WiFi, Bluetooth, a USB 3.0 port, a 6-cell battery and runs on Windows 7 Home Premium OS. Pricing and release date are still unknown at the moment. Eric Kuo, associate vice president for global sales, MSI Notebook, points out that in addition to offering outstanding performance and top-of-the-line sound, the CR430 multimedia laptop computer comes with a chicklet keyboard and nickel-plated touchpad keys with a nice, solid feel. The multipoint touchpad can be used to scroll as well as to change the size of and rotate pictures, making your digital life just that much more enjoyable. Leading edge of technology and craftsmanship : New AMD APU architecture processor: The CR430 is equipped with AMD’s new generation dual core E-450 processor. In addition to boasting two cores with clocking speeds of 1.65GHz, it sports the AMD Radeon™ HD 6320 discrete class display chip which supports DirectX 11 for more vivid, higher definition pictures, offering powerful processing and display performance on par with discrete graphics cards. Stylish exterior: The cover and palm rest areas are graced with MSI’s own color film print with checkerboard design, protecting the CR430 against scratching and wear, while adding a touch of class. High resolution webcam: The CR430 comes with a 720p high resolution webcam, so when you video chat with friends and family, you can enjoy smooth, crisp, hiccup-free pictures. If you prefer a bigger screen for your HD films, the CR430 comes equipped with an HDMI slot for connecting to televisions or projectors. MSI S-Bar: When you depress the S-Bar hotkey on the CR430, all function controls, including the webcam, projector, wireless, Bluetooth, volume, screen brightness, and standby status, pop up on the screen, so you don’t have to waste time searching for them. Facial recognition and photo management software: The CR430 comes preloaded with MSI’s own facial recognition software which works in concert with the high definition webcam to protect your data biometrically, putting your accounts under one lock and key – your unique facial features. It remembers your passwords, so you don’t have to. What’s more, it features MSI’s Easy Viewer photo management software, so you can enlarge, reduce, or rotate pictures with your mouse. Sharing photos with friends and family was never easier or more enjoyable. i-Charger technology: The CR430 also comes with MSI’s i-Charger technology which pumps more power through USB slots, so you can recharge devices up to three times faster. Now, while others sit around waiting for their mobile devices to recharge, you can be using yours. ECO Engine: MSI’s ECO Engine power-saving technology lets you select from among five power management levels—Video Game, Film, Presentation, Word Processing, and Turbo Battery, to automatically adjust computer performance and display brightness to optimize power use and maximize battery life. Asus the Popular brand for laptops and netbooks has launched its Best gaming laptop till now as Lamborghini VX7 Gaming Laptop. With core i7 processor, and 3 GB NVidia Card it has a long battery backup with 8 cell 5200mAh battery. Apple: the name of style in the arena of notebooks has no come up with a new revolutionary which didnot have keyboard really it has simply a sleek wheel instead.You will have to say goodbye to the keyboard and say hello to the future of laptop computers. when i buyed my laptop a 4 yrs ago it was came with 1 gb of ram and 60 gb of harddisk in present senario to run operating sytem like windows 7 and vista and playing high memory requirement games tend me to upgarde my RAM and harddisk both . A memory upgrade can be one of the least expensive methods of improving your computers performance. In addition, a computer memory upgrade can be very simple, even for novice users.When your computer starts up, it should tell you how much RAM memory it has installed. 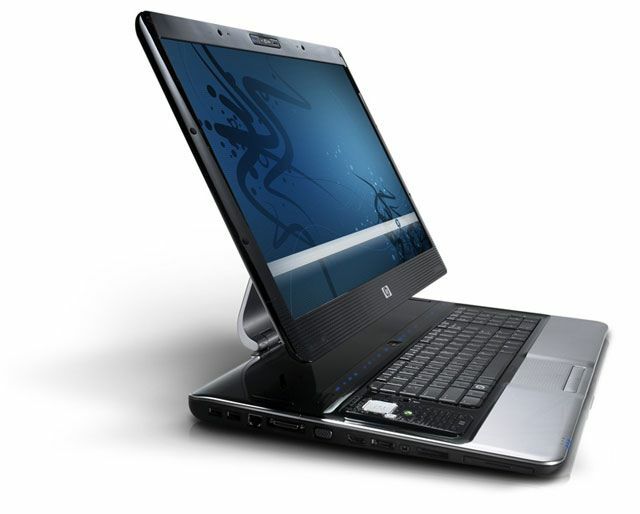 diffrent laptops may have diffrent types of RAM memory like DDR DDR2 and SDR SDRAM, DDR SDRAM, DDR2 SDRAM, and RDRAM. In addition, each type of RAM will be rated with a speed. Adding faster memory to your computer will work, but you may pay more than you need to for your memory upgrade. Adding slower memory may make your computer work erratically or not at all. memory upgarding is as simple but one thing should be kept in mind that it should be capable of upgarding to that memory like my brother got a macbook pro he wants to upgarde its memory and he done this with Macbook Pro Memory. The Mac book pro has got 8 memory slots and capcity is too high aroung 16 gb so going to Macbook Pro Memory upgrade is easy and it really enhances the performance of macbook.so any mackbook pro user can get the macbook pro memory by direct istallation of memory or going through any upgrade process . 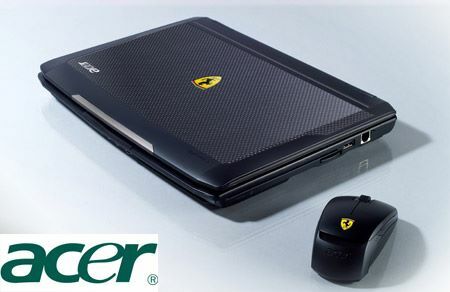 Acer has unveiled the new 12.1-inch Ferrari 1200 ultra-portable notebook manufactured with carbon fiber, a material used in racer cars. Ferrari 1200 is powered with AMD’s dual-core processor with a 4GB RAM. No information on pricing and availability has been shared by Acer, but we can expect this Ferrari notebook model to be expensive. Yesterday Hp unveils its Notebook HDX 18 which is toatal gaming notebook which gives you all the pleasure and features you want for ahigh performong gamng notebook. HDX” family of notebooks with the all new HDX 16 and HDX 18 multimedia notebooks. These notebooks feature large displays with a 16:9 screen ratio, impressive speakers with an integrated subwoofer, and an innovative touch-sensitive media control panel. Its first look gives you a sample of what you can expect from the large and impressive HDX18.